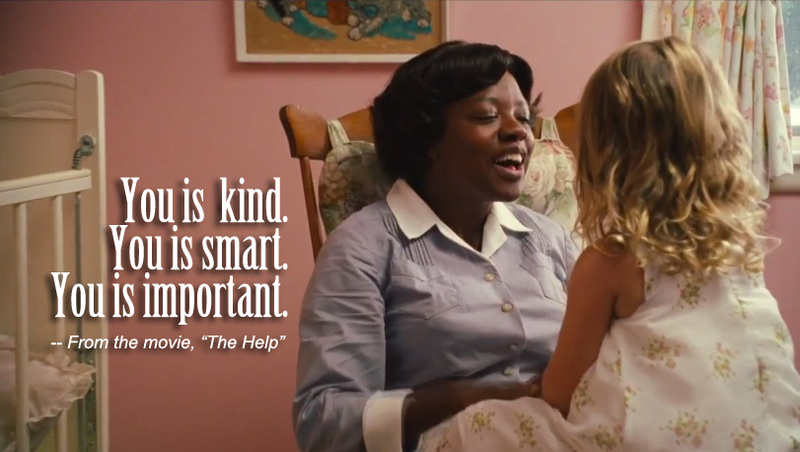 As Jeremy and I were watching crying through The Help last night, I started thinking about all the reasons it resonated with us. For starters, we can all relate to Skeeter Phelan. As someone whose frizzy hair presents myriad obstacles in life, I can empathize. And when her family is convinced she’s a lesbian, I mean, we’ve all been there, right? (RIGHT?! Maybe that’s just me…) Not to mention she looks SO badass rippin’ cigs and writing on her typewriter. I’m sure that’s exactly how I look when I work on this blog. 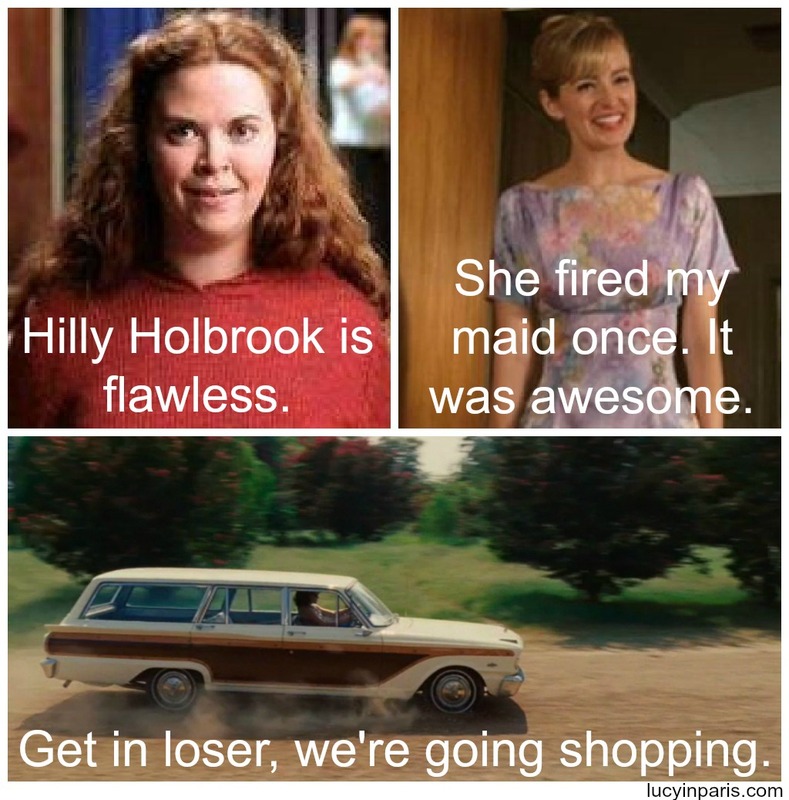 Second, we’ve all had to deal with someone like Regina George Hilly Holbrook in our lives. But really, are we sure Tina Fey didn’t write this? Third, is it possible that Aibileen Clark was getting into the 3€ wine before work? Because she can give a mean drunk pep-talk. 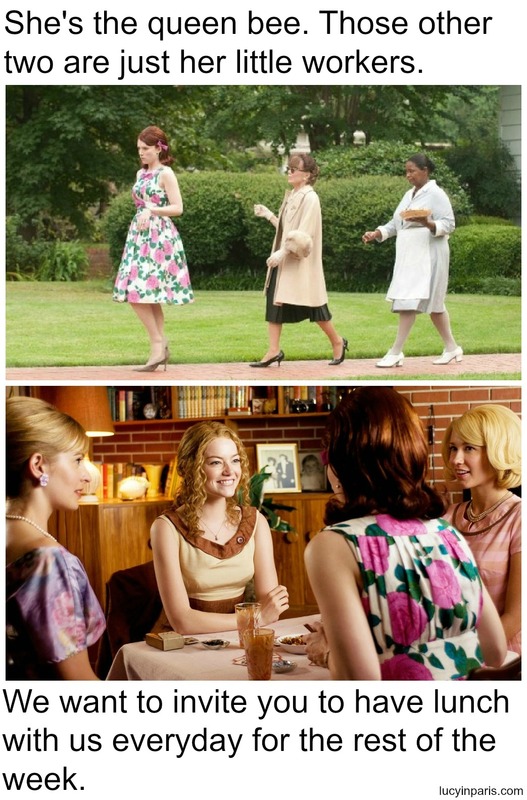 I kid, I kid…but in all seriousness, if you are part of the 1% of the population who has not yet read/watched The Help, GET ON IT. It is vraiment worth your time. This entry was posted in Reel Life & Recaps, Salopes Aiment Ceci. Bookmark the permalink. i like to read the help because i can really relate to it, ya know?? also this post is A GEM.